This week’s Lenten Reflection was written by Sister Anne Boyer, GNSH. Sister Anne has a ministry of prayer and presence and we are grateful to her for sharing her wisdom with us. Scripture is rich. Each one of us discovers different insights from pondering points in scripture. In the first reading from today’s Liturgy (Ex, 3:1-8A, 13-15), there’s a sense of wonder way beyond words. Moses near a bush that just keeps burning, but the flame stays in place. This boggles my mind! The Church sets aside this whole Lenten Season to remind us of God’s love, God’s “flame” ever present to us. Let us keep absorbing/deepening that truth. 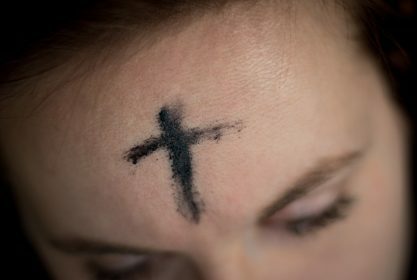 Another instance that speaks to me is Moses’ response to God, “Here I am.” As I grew into maturing that Lent was not about making a bargain with God (If I give up candy, God will love me more) I challenged myself about growing spiritually. What lens do I use? Do I see what God sees or only what I want to see? Do I allow God to let me see more? Do I hear only what I want to hear? Do I allow God to let me hear more? These are not negative questions. They are searching, positive, concerns to shape and transform my faith. Have I given time by being in touch with someone I know who’s lonely? Have I been present to someone who just needs to talk out a problem? Have I become more aware about caring for ignored people? Have I cared for people who are suffering in some way? No one is exempt from suffering. Suffering is part of being human. The way we respond helps or hinders us; we can choose to be positive or negative. We can choose to practice what we learn from the suffering, or we can choose to become bitter. Responding positively to these questions shows me if I am striving to allow God to be more present in my daily living. God is ever- present, nurturing me to be more loving and forgiving, to become better, not bitter. Positive growing/maturing is an unending process. Recognizing our need to move forward is an essential part of living. Having/keeping a sense of good humor is another essential ingredient. That balance prompts growth. Each one of us in our own unique story needs to and can cultivate caring. Each one of us continues to “awaken” whatever we can do in the faith journey of our lives, ultimately, to be more concerned about one another and our world. Dear Sister Aunt Anne, Very thought provoking piece. Thank God for your words! I plan to share your reflections with my grief support group. Thank you Sister Anne. So much to think about. Sr. Anne, Just what I needed! A reminder to let go and let God. Thanks you, my friend. This comes at a great time. I just resigned from my job in order to seek out a more meaningul life and something which will help me to serve and grow closer to God. 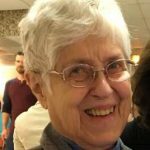 Thanks, Sr. Anne, for many good points to ponder as I once again begin a new chapter of my life. 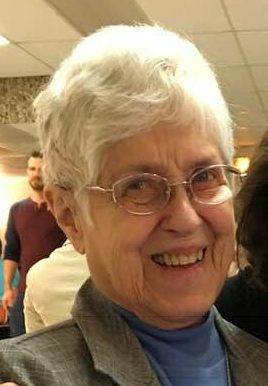 Thank you, Sr. Anne, for the reminder to allow God the Father to work in and with me. Great material to help us sort out what really matters. Thanks Anne. Thank you very much! This is great food for thought. Thank you, Sister Anne…so much to ponder. Very rich!